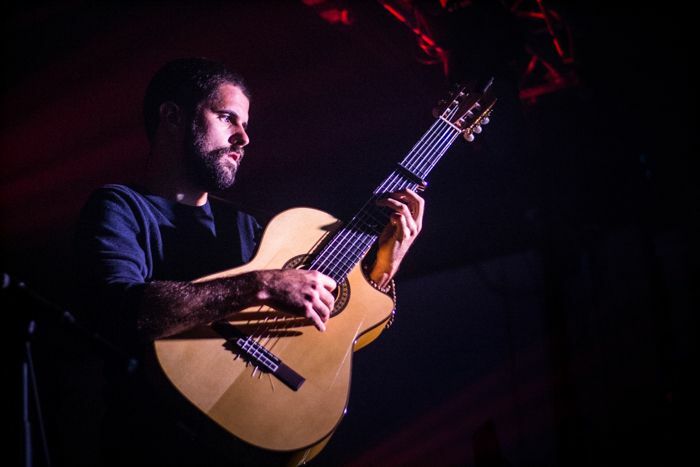 As Nick Mulvey announces an extensive UK tour including Liverpool, Getintothis Jessica Borden has the details. Nick Mulvey announces a 17 date UK and Ireland tour including a stop at Liverpool’s own O2 Academy. Following the announcement of Mulvey’s second album Wake Up Now, the extensive autumn tour will call at Liverpool this October bringing his singer songwriter melodies. From his time in Portico Quartet to his first album being Mercury Prize nominated in 2014, his return with a new album to be released in September and an accompanying tourit’s clear that Mulvey doesn’t like to sit still . The tour follows on from a huge performance at Glastonbury 2017 Park Stage where his music fit perfectly with the fortunate amazing weather and calming hypnotic melodies which cast a trance over the crowd. Recently Nick Mulvey collaborated with Bjork (she directed it) on his video for Unconditional, showing the incredible creativity coming from this album already. Mulvey will be playing the O2 Academy, Liverpool on October 1.